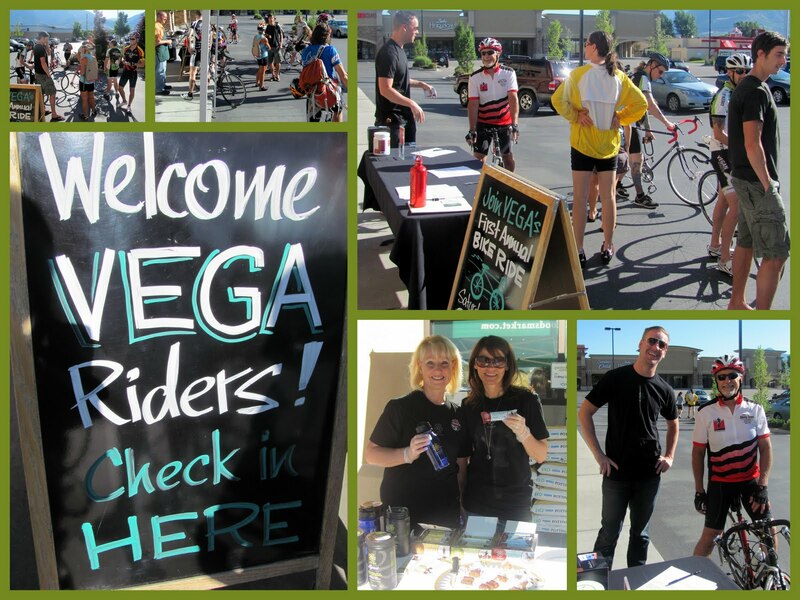 On Saturday, July 9th Vega had its First Annual Bike Ride at the base of the beautiful Wasatch Mountains of Utah. 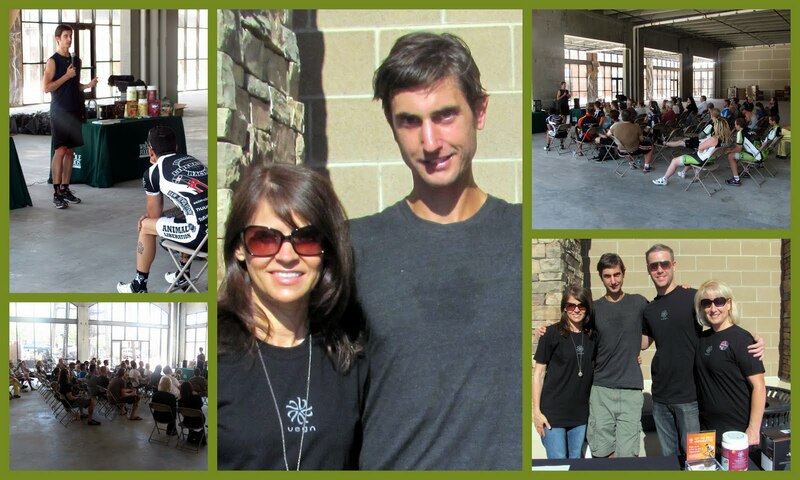 Besides being an absolutely gorgeous and sunny day for biking, the bikers were excited about meeting Brendan Brazier. Brendan Brazier is one of only a few professional athletes in the world whose diet is 100 percent plant-based. He’s a professional Ironman triathlete, bestselling author of The Thrive Diet (Penguin, 2007), and the creator of an award-winning line of whole food nutritional products called Vega. He is also a two-time Canadian 50km Ultra Marathon Champion. Brendan is recognized as one of the world’s foremost authorities on plant-based nutrition. He is a guest lecturer at Cornell University and teaches an eCornell course called The Plant-Based Diet and Elite Athleticism. It was really exciting meeting Brendan. He is a very humble guy for all that he has accomplished! I was also able to meet the Vega Representative here in Utah-Tyler Hunt. Tyler did an excellent job overseeing the activity and making sure everyone had what they needed. 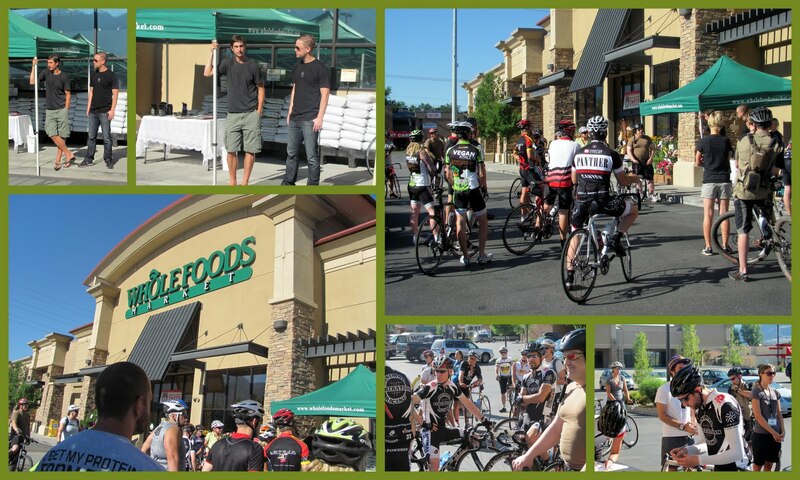 Brendan kicked off the bike ride with a Welcome Speech at Whole Foods Market Highland Drive, and the Vega team sampled pre-work out Vega Sport drinks to the participants. The bikers started at the Whole Foods in Cottonwood Heights, Utah. 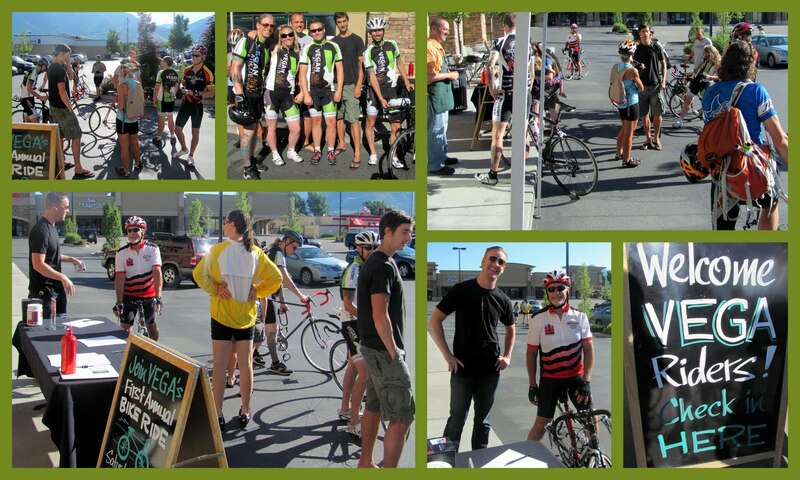 The group cycled to the Whole Foods Market Sugar House store to power up and meet even more riders in Salt Lake City. The riders then met for the Wellness Seminar and Book Signing at 12pm, held at the NEW Whole Foods Market Trolley Square store- Salt Lake City. 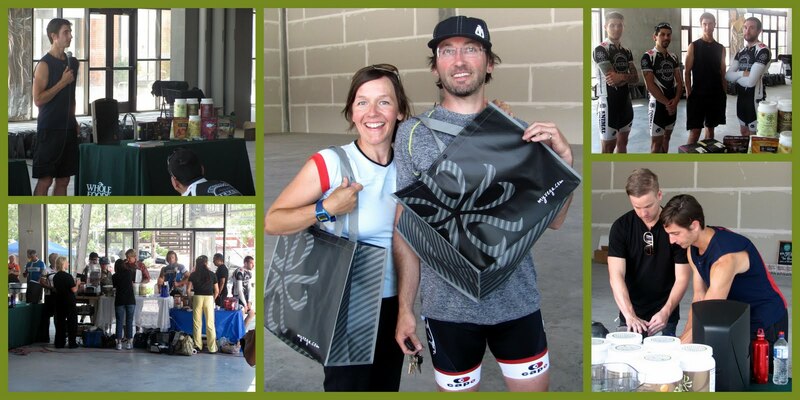 All the participants were given a Vega swag bag, at the end of the ride with samples, a water bottle & Vega T-Shirt! The seminar was awesome! To learn more about Brendan and a plant-based diet follow his Thrive in 30-30 days to optimum health and vitality. After signing up you will receive a new message in your email every day for 30 days. I have been enjoying reading these messages. Looks like you had fun! I would have totally joined in the fun if I wasn't preggy. :) I'm planning on ordering some Vega shakes. Morgan says they are a staple in her diet! I love Brendan and LOVE Vega!!! So fun that you got to be a part of this! Look at all those thin athletic people! This is Jessica from WholeFoodIdeas.blogspot.com. I hope you are doing well. How exciting to get to meet Brendan Brazier. I have read his books and regularly use his Vega products. I love his recipes too. They are fantastic. By the way, my mom made your vegan "meatballs" and spaghetti last week for me. She has been helping me out since I am in crutches due to a stress fracture in my right femur. The meal was delicious. Even my meat loving father enjoyed them, which is rare. He is usually quite skeptical when it comes to vegan food, even though he as no choice but to eat it at home because my mom will not cook animal products. I think he secretly likes vegan meals and does not want to admit how good these meals taste and how it's possible to have a delicious and nutritious meal without meat. Thanks again for the information in your blog. I need to get back on track with mine. Heather, Morgan & Shen- thank you for your comments. Jessica, I loved reading your comments. It was so awesome to hear that your mom made my vegan "meatballs" and spaghetti last week and that your Dad like it too. That is really funny that he secretly likes Vegan food, but doesn't want to admit it-LOL. Love reading your blog and your recent post on Native Foods Cafe. Looks like everyone had a great time! I'm inspired to go buy a new bike! i love whole foods, they are by far my favorite food store. the only problem is whole foods isn't in every part of the US.